NOBODY beats the Brisbane Bullets nine times out of 10. Nobody. US tennis great Vitas Gerulaitis once declared that "nobody beats Vitas Gerulaitis 17 times in a row" after ending Jimmy Connors' 16-match winning streak against him. 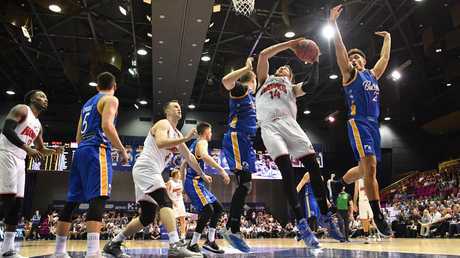 The Bullets know how Gerulaitis felt after putting a dent in their own hoodoo with a 104-85 win over Illawarra at the Brisbane Convention Centre on Thursday night. Since the Bullets re-entered the NBL in the 2016-17 season, the Hawks had won eight of the nine clashes between the sides. Illawarra owned Brisbane when you added four pre-season wins to the tally. 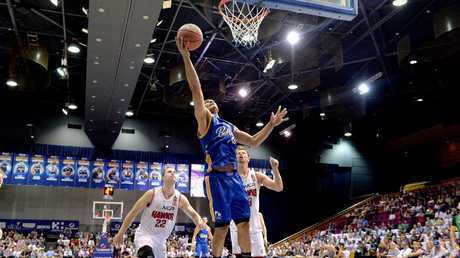 But the Bullets put a stop to the rot to claim their fifth win of the season and temporarily climb back into the NBL's top four. Bullets import Lamar Patterson oozed class with 24 points, five rebounds, six assists and two steals. He was head and shoulders above everyone on the court. Jason Cadee (15 points, five assists) and Cam Gliddon (15 points) were the chief support acts for the Bullets who found their range at the offensive end and produced defensive stops at the right times. 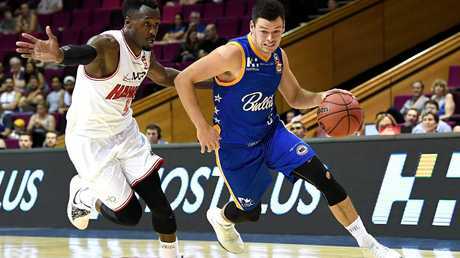 Mika Vukona (11 points, eight rebounds), Reuben Te Rangi (11 points) and Stephen Holt (12 points) also did plenty of damage coming off the bench for Brisbane. Brian Conklin and AJ Ogilvy added 16 points apiece to be the best for the Hawks who slumped to their fifth loss in six matches and a 3-7 record. The Bullets were staring down the barrel of a fourth-straight loss which would have dumped them down to seventh on the ladder. But they blew the Hawks off the court in third quarter, outscoring the visitors 24-13 to set-up a 79-66 buffer at the last change. With Cadee leading the charge for Brisbane with eight points and two assists for the third term, Brisbane emerged from the halftime break with all guns blazing and they rediscovered their upbeat offensive tempo. Brisbane led 55-53 at half-time after the Hawks fought their way back into the contest in a scrappy second quarter with Patterson (13 points, three assists) and Gliddon (12 points from four of five three-point attempts) leading the way for the Bullets. Aided by a lopsided foul count of 13-7 at half-time - and 10-6 in the second quarter alone - Illawarra upped their defensive intensity after allowing Brisbane to shoot at a remarkable 68 per cent from the fields in the first term. Brisbane got out to a 13-point cushion late in the first quarter before taking a 35-24 advantage into the first break with seven players getting on the scoreboard for the deadly accurate and freewheeling home side. The Bullets went on a blistering 10-run early in the first quarter to stamp their authority on the match. But under astute head coach Rob Beveridge, the Hawks have the ability to make significant in-game adjustments and they were able to shutdown Brisbane's free-flowing offence while exploiting their size advantage with Conklin, Ogilvy the prime movers in the second quarter comeback. 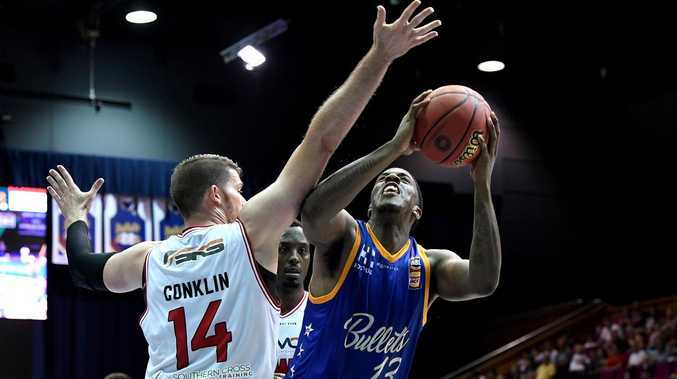 Bullets coach Andrej Lemanis said the best aspect of the win was the players getting together at halftime and addressing the defensive deficiencies that were hurting Brisbane. "There's lots of things that were good out of tonight. 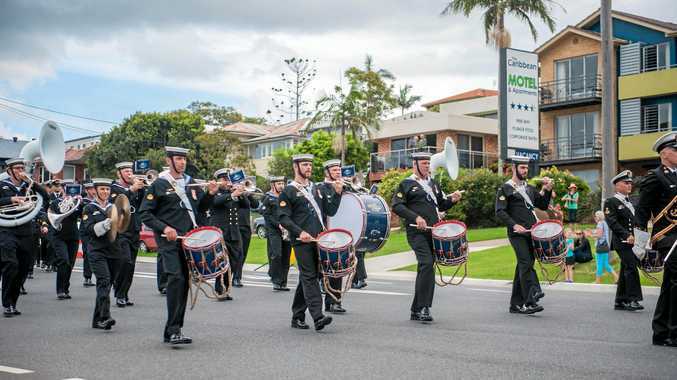 The fact that when we came down at halftime the group was talking to the fact that the defence wasn't good enough and wasn't where it needed to be to have success in this game,'' he said. "It's why I have so much confidence in this group…we've got a group that is invested and they are prepared to talk and speak and sort through issues themselves. "The defence in the second half was on point. We had seven guys in double figures which again talks to the depth of talent that we have. We are willing to share the ball and everyone can score." He said Patterson was delivering on and off the court. "We all knew that he is a good player. What is unknown often is the type of person that comes with that. And he's been great. He is fitting in and wants to do what's best for the team,'' Lemanis said. Hawks head coach Rob Beveridge said Illawarra need to "man-up" at the defensive end and start working together at the offensive end. "We've just got really poor ball movement at the moment. We're really sucking in offence…we get bad shots or we turn it over. "This league is too good. The teams are just way too good and right now we're just not good enough. "I pride myself on teams that gel well together, work hard for each other and sacrifice everything for each other. Right now we're not getting it done. "It's incredibly frustrating. Not only for me but for the players. Right now this team simply has not gelled. "Some of the losses we're having are bad losses and bad for your confidence. 76ers star finally put out of his misery?